We were allowed to accompany our newlyweds Julia & Jan from the first step to the big day in their lives. 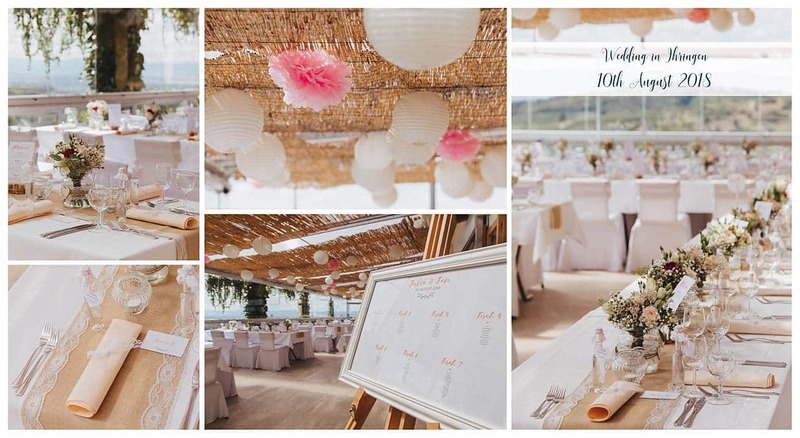 Since both come from the beautiful Kaiserstuhl region, it was clear that the wedding should also take place in the region. 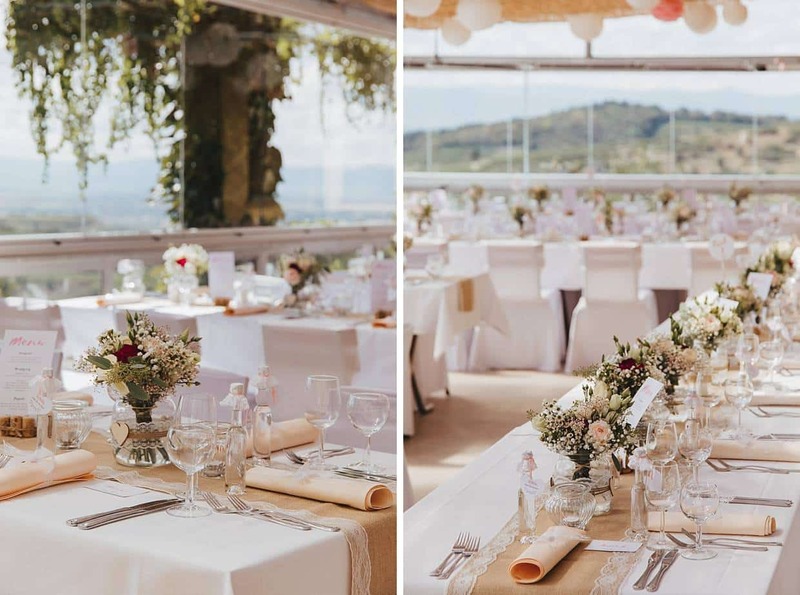 As a location, the two then finally chose the Lenzenberg in Ihringen, a great restaurant in the middle of the vineyards with a fabulous view. When decorating, it was important to the bride that it does not get too stiff. That’s why we opted for loosely filled vases with great flowers like gypsophila and roses. Everything was in pink, white and cream in color. The janitors on the tables provided that certain something. The wedding day started for us wedding planners early in the morning with the decoration of the location. In the afternoon we started with the official part, the church wedding in Ihringen. Then it went for the wedding party on the Lenzenberg for the champagne reception and delicious coffee and cake. In the evening, the guests enjoyed a delicious BQQ buffet and the DJ was still wild until the early morning hours. 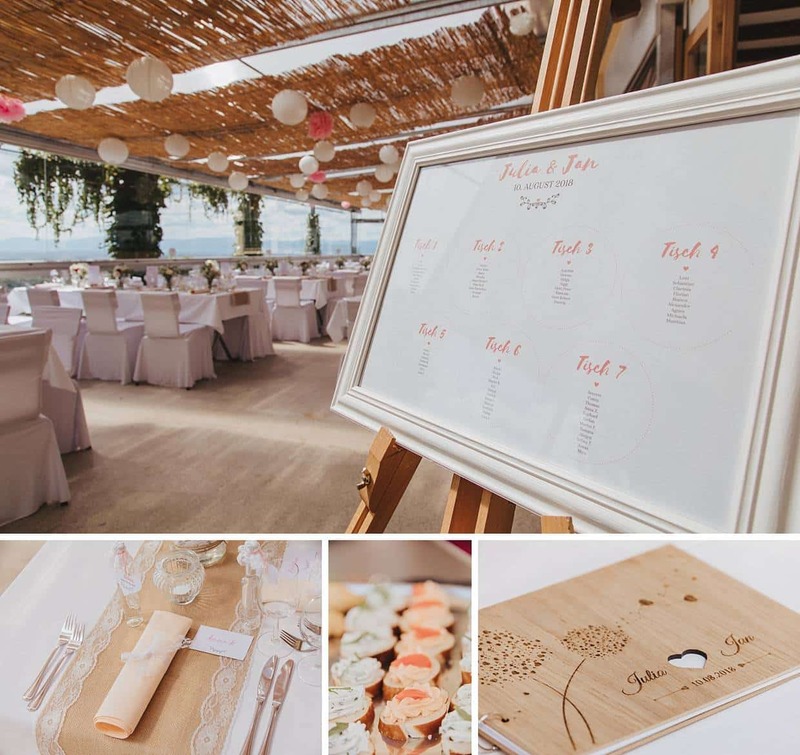 As a wedding planner, we ensured a smooth daily routine, decorated everything with love, were there for all the questions, recommended all service providers and coordinated the evening program. 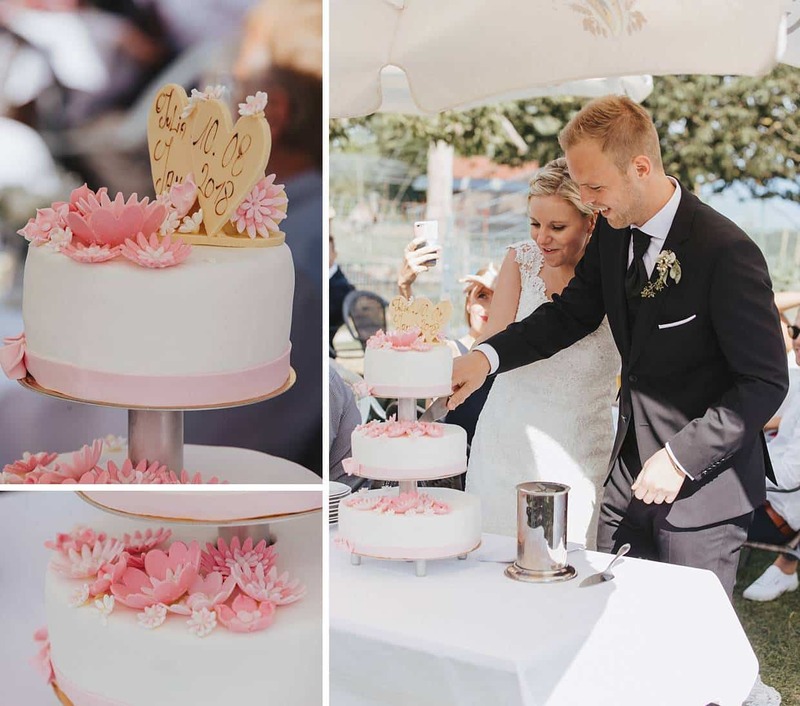 The greatest gift for us wedding planner is the radiance of our bridal couples on the wedding day, as was the case with Julia & Jan, then we know we did everything right!